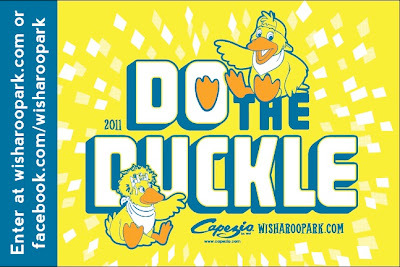 Boogie down and get your kids dancing to the Duckle Dance beat, and enter them in the Duckle Dance Sweepstakes Presented by Capezio and Wisharoo Park. To enter simply video your preschool kids doing the Duckle Dance (See Video Below) download your video to your Facebook or YouTube account, then visit www.wisharoopark.com/duckledance and submit your video link for a chance to win one of twenty Capezio and Wisharoo Prize packages or one of five $500 Dance Scholarships! So what is the Duckle Dance? It’s a little bit of ballet, a little bit of tap, and a whole lot of whatever you want it to be but, most importantly, its moving and grooving family fun for all! 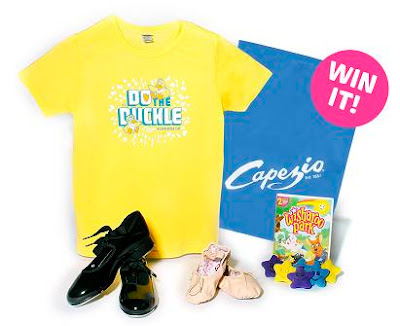 Be sure to keep in mind that although the promotional Duckle Dance video teaches specific dance steps, the Duckle Dance Sweepstakes Presented by Capezio and Wisharoo Park is all about fun! Dance submissions are completely open to individual interpretation. In the Duckle Dance no step is wrong, no leap falls short, no tap is off, no plié is blasé and no arabesque is grotesque. The sky is the limit as Capezio and Wisharoo Park applaud and salute the creativity and individuality expressed by each and every entrant with prize winners to be chosen through a random drawing (video entry closes on September 1,2011). Unique among preschool programs, Wisharoo Park is designed to help children age 3 – 6 recognize and appreciate their individuality. With its groundbreaking technology-based curriculum, Wisharoo Park helps children discover and understand their personal strengths and put them on the road to developing greater self-esteem. The Wisharoopark.com enchanting online community stars a whimsical cast of lovable animated, puppet and human characters who are featured in games, videos, music and more! Each week exciting new activities and content are added that are sure to keep parents and their kids coming back again and again. Wisharoo Park is proud to partner with Capezio. Dedicated to the art of dance since 1887, Capezio revolutionized the dance world with dancewear and footwear products for every dancer from beginner to professional. 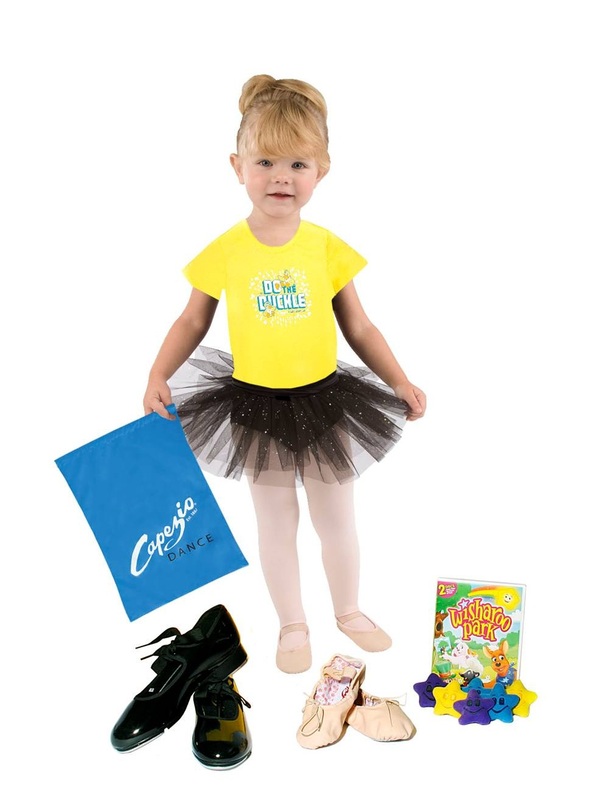 Capezio operates retail stores carrying the full lines of all Capezio/Ballet Maker Inc. brands in New York City and several major cities nationwide. For more information, visit http://www.capeziodance.com/ . One Lucky One Savvy Mom Reader will receive a Capezio / Wisharoo Prize Pack Valued at $100! One Pair Capezio Daisy ballet Shoes. One Pair Capezio Jr. Tyette Tap Shoes. One Capezio Logo Drawstring Backpack. 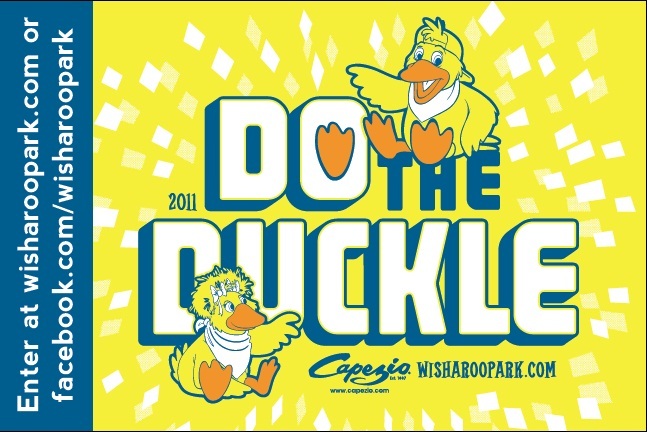 One Limited Edition Do the Duckle Commemorative T-Shirt. One Wisharoo Park 2-Disc 13 Episode DVD Set. Six Wisharoo Park Wish Star finger puppets. OPEN TO U.S. RESIDENTS ONLY. Entry to this giveaway ends on September 3, 2011.Winner's are chosen randomly through random.org.The winner will be announced within 7 days of the giveaway ending and contacted through email. The winner will have 48 hrs. to respond or another winner will be chosen. GFC'd and I "Like" Wisharoo Park On Facebook. Mandatory entry done (WEndy T on facebook).